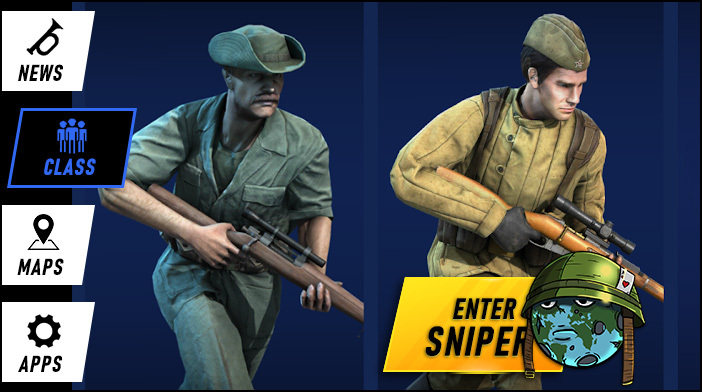 Forces of Freedom features three classes: Scout, Rifleman and Sniper, each with their own advantages and disadvantages. The quick and agile Scout is perfect for flanking and close range combat. His SMG has a very low recoil, high magazine capacity and is accurate at short range, he’s also harder to hit while on the run due to his speed. Also, the grenades, that are his special ability, fit in very nicely in all close range combat style. The main drawbacks of this class are low damage and accuracy of the SMG at ranges over 20-25m and his mediocre Hp. 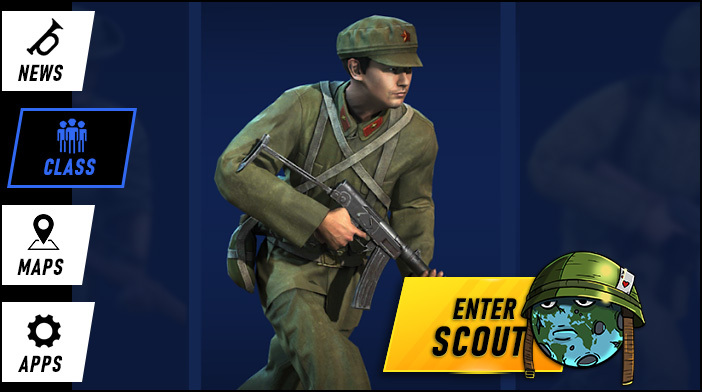 To summarize, when playing Scout, use your superior speed and stealth to close in on your enemies and annihilate them – almost like an assassin or a ninja. 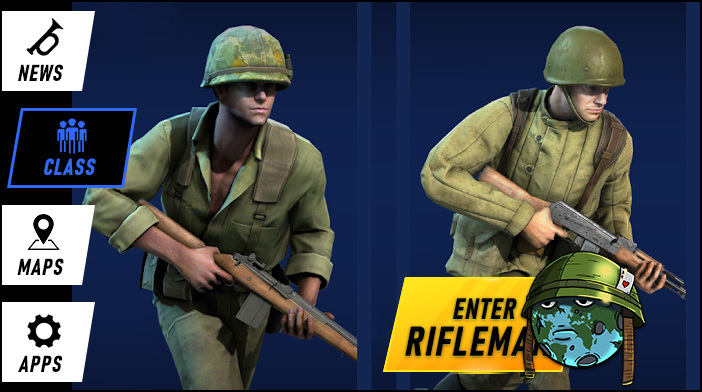 Rifleman is the frontline soldier, the “muscle” of the team. He’s very tough, having more Hp than other classes, solid movement speed enables him to get into a favorable position on both attack and defense and, from there, he can support his team by providing suppressive fire for the rest of his team. Rifleman is armed with the assault rifle, and this weapon is unmatched at medium range, very good at close range and decent at long range. When caught out in the open, the Rifleman can deploy the mobile barrier that can be used for cover – his special ability. All in all, this is the most versatile out of the 3 classes in Forces of Freedom, and definitely the most difficult to kill. The biggest mistake when playing Rifleman is camping a back line along with the Snipers. Sniper is a long-range marksman that is almost useless at close range combat. Armed with a scoped bolt-action rifle (at least for the 1960’s sniper, the only one available currently in Forces of Freedom), he can rain death upon the enemies from extreme distances, retreating before the enemy team can react and open fire upon him. His main disadvantages are very low Hp, slow-ish movement speed and scope reflection that can give up his position once he zooms in. 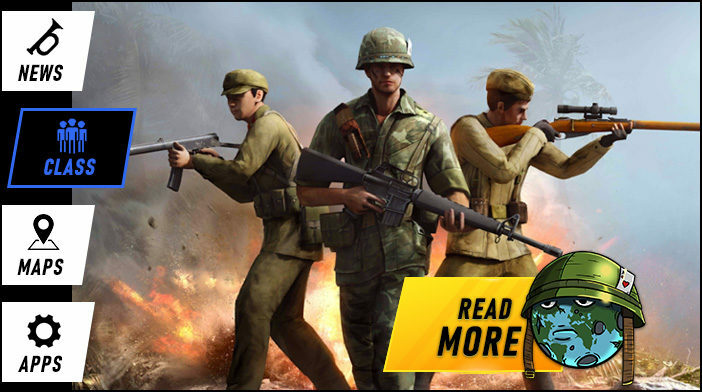 In the following guides, we’ll provide more detail information about each class in Forces of Freedom and their preferred playstyles, as well as “new” 1970’s soldiers and beyond (once they get released).